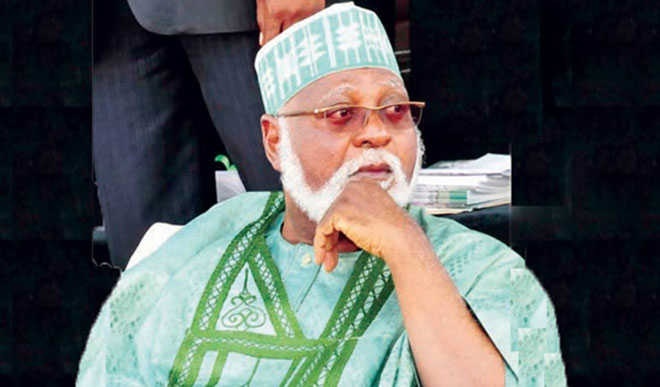 Former military head of state General Abdulsalam Abubakar has sent a message to Nigerians. It's a reminder of the gains we make when there is peace and harmony in the country. Speaking as a Special Guest of Honour at the Excellence in Public Service Award 2017 organisd by Business Day, on Thursday in Abuja, Abubakar noted that the need for sustainable peace in the country could not be overemphasised. He added that all hands must be on deck to support the efforts of government to enhance peace and stability in the country. “I will not end this speech without making reference to the need for peace and harmony in our country. “Since I left office in 1999, I have been involved in peace-making efforts all over our continent and it is sad to see the carnage of war and civil disorder. “So I want all of us to put our hands on deck to assist the government who are our leaders to maintain this peace which we are taking for granted. “If there is no peace the Business Day will not have the occasion to organise this award and without peace the awardees will not have been able to perform,” Abubakar said. Abubakar was Military Head of State from June 9, 1998 until May 29, 1999. He succeeded Sani Abacha upon his death.